Wanjiang Logistics, the operator of Wuhu Port, has signed an agreement with Changjiu Logistics, a third party car logistics company, to set up a joint venture to develop an automobile shipping business. Under the agreement, Wanjiang Logistics will invest RMB196m ($28.8m) and Changjiu Logistics will invest RMB204m ($30m) for 49% and 51% interest in the jv respectively. The jv, which is called Zhong Jiang Hai Logistics, will invest in roro terminals and acquire an 800 ceu car carrier and an 1,200 ceu car carrier to start operations by early 2018. 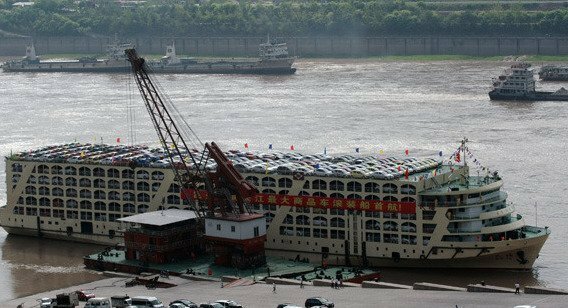 Wanjiang Logistics plans to develop a river-to-ocean car logistics hub in Wuhu Port through the jv and serve the demand from the car manufacturing bases in Chengdu and Chongqing.